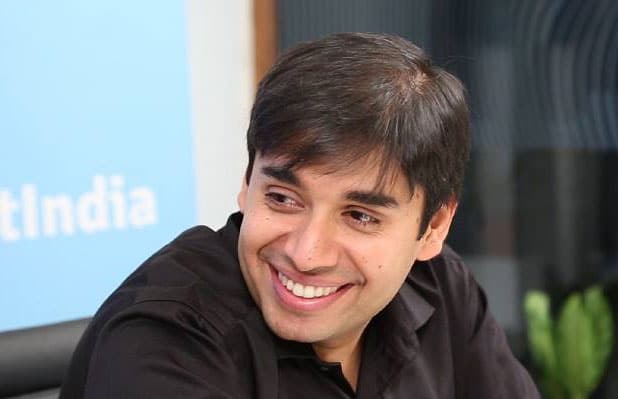 Naveen Tewari is an Indian angel investor and entrepreneur who has been instrumental in the investment of over 30 startups and has personally invested in numerous companies. Tewari is the founder and of InMobi. A disruptor in the mobile marketing field, the company seeks to propel mobile-based marketing through algorithms in order to optimize search results. InMobi also provides clients with real-time reporting and campaign management. Naveen Tewari is an Indian angel investor and entrepreneur who has been instrumental in the investment of over 30 startups and has personally invested in numerous companies. Tewari is the founder and of InMobi. A disruptor in the mobile marketing field, the company seeks to propel mobile-based marketing through algorithms in order to optimize search results. InMobi also provides clients with real-time reporting and campaign management. Tewari is also a founding member and chairman of United States-based Indian School Fund, a non-profit school fund tasked with setting up schools in rural India. From March 2015 to March 2017 he served on the board of directors of Paytm, the largest e-commerce and online payment platform in India. He was also a global board member with the Mobile Marketing Association. Naveen Tewari obtained a bachelor’s degree in mechanical engineering from the Indian Institute of Technology (IIT) in 2000. He began his career in business as a business analyst at McKinsey and Company in 2003. He then continued his studies and next succeeded in obtaining a master’s degree in business administration from the Harvard School of Business in 2005. While he was studying at Harvard Tewari was awarded the Dean’s Award for his contribution to the school, and for showing exceptional leadership skills. The Indian Institute of Technology awarded Naveen with a ‘Distinguished Alumnus Award’ in 2013 for his contribution to entrepreneurship. Tewari is originally from Kanpur, Uttar Pradesh, India but has invested in companies all over the world, especially in the United States. Naveen Tewari has actively participated in investing in over 30 startups. He mostly makes investments during in the angel and seed investment rounds. Tewari’s investment focus is on disruptors within the information technology, mobile marketing, and e-commerce industries. In August of 2010, he invested in the seed stage of the online assessment platform Mettl.com. The platform provides easy to track and measure testing from technical, psychological and aptitude assessments and analysis. In May of 2013, he invested in the angel round of ZAPR, an audience measurement database that tracks offline media consumption. The company seeks to study and understand human habit, and gather information allowing for a higher success rate with marketing by understanding their target audiences better. Tewari invested in the seed investment round of online funding platform LetsVenture in May 2014. The platform allows companies that are looking for investment and capital to create profiles that are investment-ready, also providing them with access to mentorship and business plan assessment. In March 2015 he invested in the Seed Stage round of Razorpay, an Indian online payment gateway solution for businesses. Tewari has featured in the media for being given numerous awards and honors for his contribution to the world of entrepreneurship and leadership. He was listed as one of Fortune’s ‘40 under 40’ for being one of the most powerful, influential, and important people in business in 2015. He was also awarded with a ‘Future Leaders Award’ by the Indian Prime Minister Narendra Modi in 2015. Other noteworthy awards are 2014’s ‘Pathbreaker of the Year’, – he was also awarded the same by the Indian Prime Minister in 2013. In 2013 Tewari was listed as one of the ‘100 Most Creative People’, across the world.